We first broke this offer last week on our global FFB site and over the weekend it spread like wildfire to other blogs and frequent flyer sites and of course we forgot to post it on our Canadian site until now! 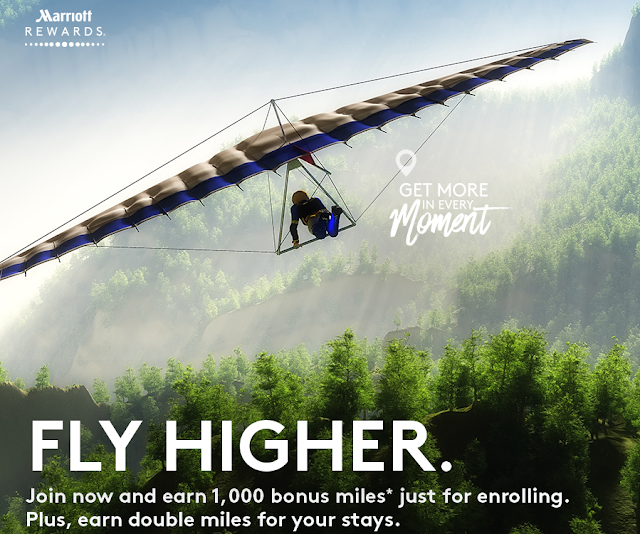 We see the return of Marriott's great new member bonus for those who want to credit Marriott stays to airline programs! Right now when you join Marriott Rewards via the special link below you'll earn Double Miles on all your stays in any one of 7 airline programs over the summer. The difference with the 2017 version of this promotion is that when you join Marriott will throw in 1,000 miles for doing so! For most of us here in Canada Aeroplan or BA Executive Club make the most sense but there are five other airlines to choose from as well.